We are not ashamed of God and the power God has to change lives. Because the Bible is God’s Word, it will be the basis of our teaching, shape our ministries, guide our decisions, and govern our church life. God loves the people who live in our surrounding communities, so we think it is important to show His love for them in practical ways. Because trusting in Jesus Christ alone is the only way to be saved, we will look for opportunities to share Christ to those within our circle of relationships. We will also support missionaries nationally and around the world with financial resources, leadership, and prayer. We seek to create an environment that strengthens families. We emphasize the priority of spending time with our families, investing in our marriages, and parenting our children. Because Jesus said “Apart from Me you can do nothing,” we will rely on God’s strength and guidance through consistent and widespread prayer at three levels: individually, in teams, and corporately. We believe God is infinitely worthy of honor and praise, and we believe that we were created to worship Him. We seek to honor God and express our love and appreciation for Him individually and corporately. We seek to glorify God by reaching and discipling people for Jesus Christ so they in turn can reach and disciple people for Jesus Christ. 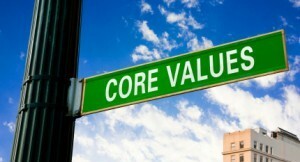 We value doing all things with integrity, excellence, commitment, and relevance. We live in rapidly changing times; therefore, we are always looking for creative and innovative ways to communicate the good news of Jesus without compromising or watering down our message. People matter to God; therefore, people matter to us. We support and encourage healthy Biblical relationships. Because godly, effective leadership is vital in the pursuit of our vision, we will plan for and invest in the development of leaders at all levels of church life. Because the Holy Spirit has given each Christ follower a spiritual gift (or God given ability) we are privileged and commissioned to use that gift so God is honored and the church family at Faith is encouraged and built up. We believe God has a sense of humor, and we have fun.